Revolution is a patented technology that ensures balanced moisture and air levels throughout the rootzone. This produces firm playing surfaces and increases turf quality under wet or dry conditions. 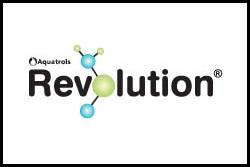 By providing better moisture access and gas exchange in the root zone, Revolution improves overall turf health and makes it much more resilient under all types of stresses. Gain control of soil conditions so that your turf can perform at its greatest potential.